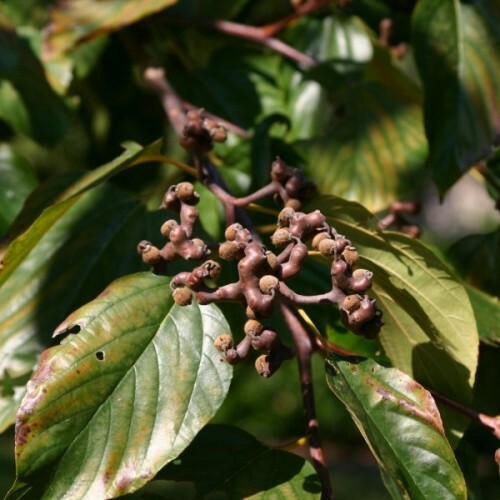 Numerous common names exist for the Appalachian tea tree, one of northeastern North America's mo..
Leatherleaf viburnum is an upright broadleaf evergreen that adds interest to many shaded parts ..
Hardy and reliable, arrowwood is a useful medium-sized to large deciduous shrub that is amenable.. 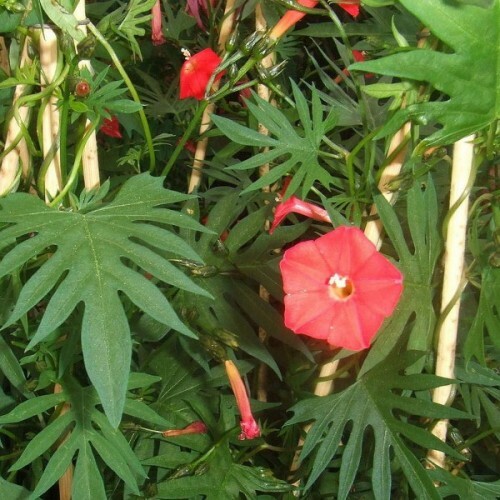 It is a deciduous shrub growing to 4-5 m tall. The bark is gray and rough and has a scaly textur.. 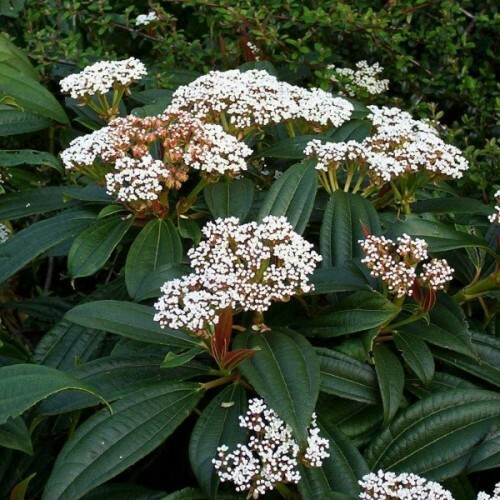 Renowned for its toughness, its tolerance of alkaline soils, and its colorful summer fruits, this large coarse deciduous shrub from Europe, western Asia, and northern Africa is also known as a parent of the popular hybrid Viburnum × rhytidophylloides. Its sparse upright stems bear leathery wrinkled oval leaves that are dark grayish-green with fuzzy gray undersides. The leaves may turn burgundy in fall. Flattened clusters of fetid white flowers are borne in late spring on the previous year's growth. Bees and butterflies pollinate the flowers, with cross-pollination required for heavy fruit set. 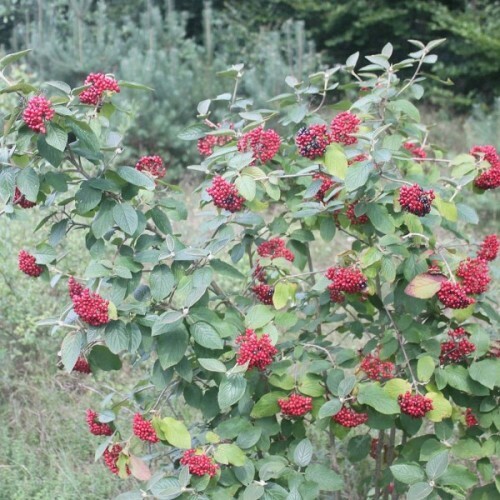 The small oval fruits ripen from green to yellow and red and finally to black, with all colors often occurring in the same cluster. Birds harvest the fruits in fall. 1. Soak seeds in warm water for 24 hours. 2. Sow seeds so they are just covered or nestled among soil particles in a seed tray. Use a peat-based potting mix that drains well and remains moist. Or, incorporate sand into the peat mix to create a moist, well-draining, fine-particle soil. 3. Place the seedling tray in a brightly lit (not baking in direct sun) garden location, greenhouse or indoor room where the temperature hovers around 68F (+20C) for a period of three months. Keep the soil moist, but never wet/soggy. This is a "warm season stratification". 4. Relocate the seedling tray to the cold frame outdoors (or a refrigerator) where the temperature hovers around +1-+3C for three to five months. Keep the soil barely moist. 5. Remove from the cold stratification area and again place the seedling tray into a warm, bright location where the temperature is around +18-+20C degrees. Keep the tray exposed to this warm environment for three to six months. Look for any germinating seeds. If none is seen, repeat the process again. 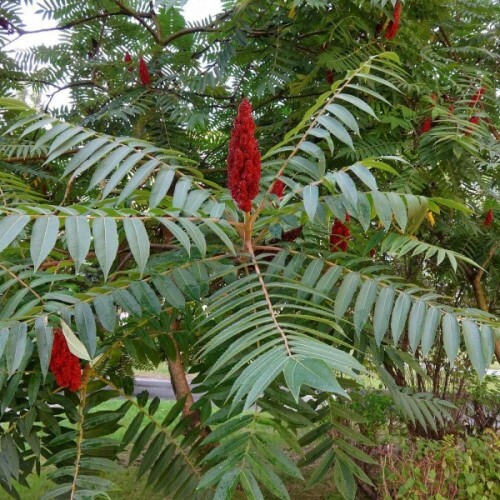 Hairy stems that support an umbrella-like crown of feathery foliage, staghorn sumac displays a h..
From the Sarah Raven's Cut Flower range.The flower bracts of this annual Salvia are enlarged and..
A fast growing tree that produces small raisin like fruit from the trunk. The Raisin Tree is dec..
F2 hybrid. Eye-catching, very double, flowers in purple with white edges. Very popular and famou..